This is one of my favorite annual reports, one that should be closely read by representatives of every government. Color me naive but I believe that happiness is, after all, one of the primary purposes of government. Keep in mind that this 172 pp. 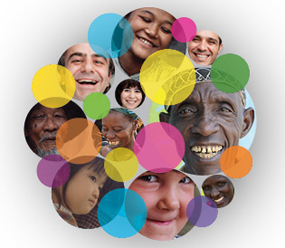 report is not only about “happiness,” as in “do you feel happy, dear citizen?” but rather about various indicators of quality of life in each country that form the basis for a happy and fulfilled life. In this year’s World Happiness Report, published by the United Nations Sustainable Development Solutions Network, Switzerland is the happiest country in the world. The USA ranked 15th while Vietnam took the 75th position. The countries in bold are among the top 20 countries that host Vietnamese students. (Australia is currently #2 after the US.) Their “happiness” is another selling point for those countries. Other Asian countries in the same league of “happiness” as Vietnam in terms of how this report measures it include Hong Kong (72), Indonesia (74) and China (84). the World Bank in November 2014.) GDP PCI is, after all, a very general measurement of a country’s economic progress. One obvious case in point is the US, where economic inequality is of historic proportions and there is much talk about the death of the American Dream, such as it was. 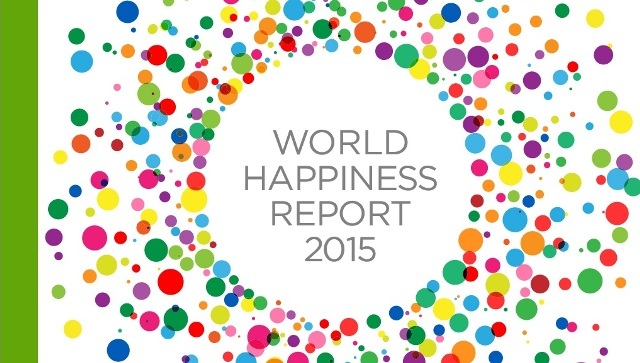 Cover of the first World Happiness Report (2012). Well-being depends heavily on the pro-social behavior of members of the society. Pro-sociality involves individuals making decisions for the common good that may conflict with short-run egoistic incentives. Economic and social life is rife with ‘social dilemmas,” in which the common good and individual incentives may conflict. In such cases, pro-social behavior – including honesty, benevolence, cooperation, and trustworthiness – is key to achieving the best outcome for society. Societies with a high level of social capital – meaning generalized trust, good governance, and mutual support by individuals within the society – are conducive to pro-social behavior. The pressing policy question is therefore how societies with low social capital riven by distrust and dishonesty, can invest in social capital. The chapter discusses various pathways to higher social capital, including education, moral instruction, professional codes of conducts, public opprobrium towards violators of the public trust, and public policies to narrow inequalities in the various supports for well-being, income, health and social connections. (My italics.) This is important because social and economic equality is associated with higher levels of social capital and generalized trust. Now think of these issues as they apply to Vietnam and the US, a bundle of contradictions worthy of their own research study, or at least another blog post to lay a very general foundation. ← The USA & Australia Trade Places – Again!